Living... in the small village named Kattegat in a fjord of Scandinavia with his wife, Lagertha, and two children, Bjorn and Gyda. Profession... Viking warrior. While he also farms and fishes to keep his family fed, Ragnar is first and foremost a skilled warrior. But don’t think he is just a meathead who thirsts for blood and glory, he is also a clever tactician who the seers have predicted will one day be a great and formidable man. Interests... battling and looting. Yes, Ragnar has some stereotypical Viking interests, but a man is not awaited at Valhalla if he does not prove himself worthy in battle and Ragnar is determined to be worthy. After all, he has to fulfill what his destiny has in store for him. Relationship Status... passionately married. Although he proposed many times, Ragnar did not gain Lagertha’s hand in marriage until he fought and killed a ferocious bear and giant dog that guarded her house. Lagertha is Ragnar’s match as both a skilled warrior and an astute leader. Personality... clever, courageous, and family-oriented. Although he is a bloodthirsty warrior, Ragnar is also completely dedicated to his family members, even to those who might not deserve it, like his brother Rollo. Ragnar is also loyal to his friends and values his warriors greatly. Ragnar Lothbrok's popularity ranking on CharacTour is #1314 out of 5,000+ characters. See our top-ranked characters and read their profiles. 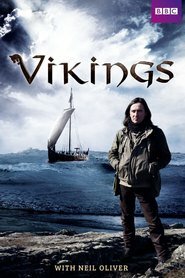 Vikings is a 2012 BBC television documentary series written and presented by Neil Oliver charting the rise of the Vikings from prehistoric times to the empire of Canute.